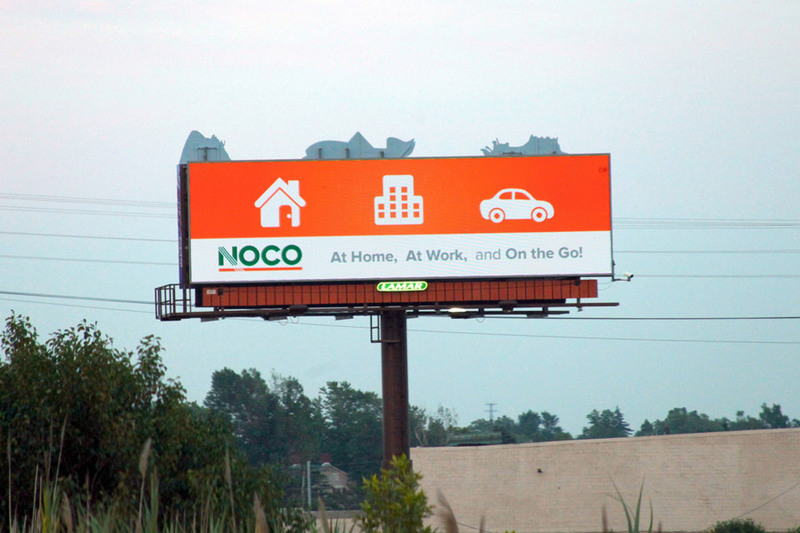 This was the first billboard I had ever done and it was something I had wanted to do for about 14 years. I feel that billbarods, if done correctly, can be an excellent way to advertise. Unfortunately I feel many people treat them as print ads, which someone can take as long as they want to read, instead of a driver going speeding by at 55mph+. I wanted to create a billboard that was easy to read and got the point across very fast. 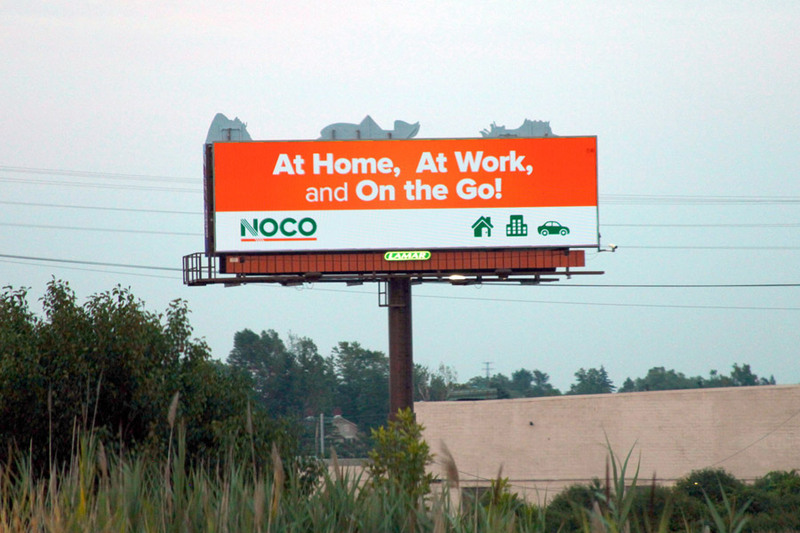 For this billboard the project was get the consumer aware of the 3 main areas of products the company offers, which were for home, work, and gas stations (convenient stores). 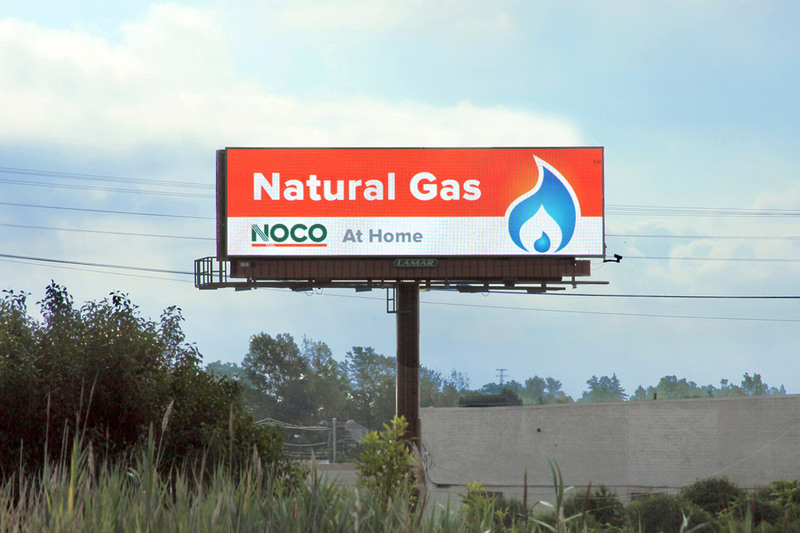 Keeping with the idea that simplicity is best for billboards, I wanted to create a billboard that the viewer wouldn’t even have to read the text to get that NOCO has natural gas. 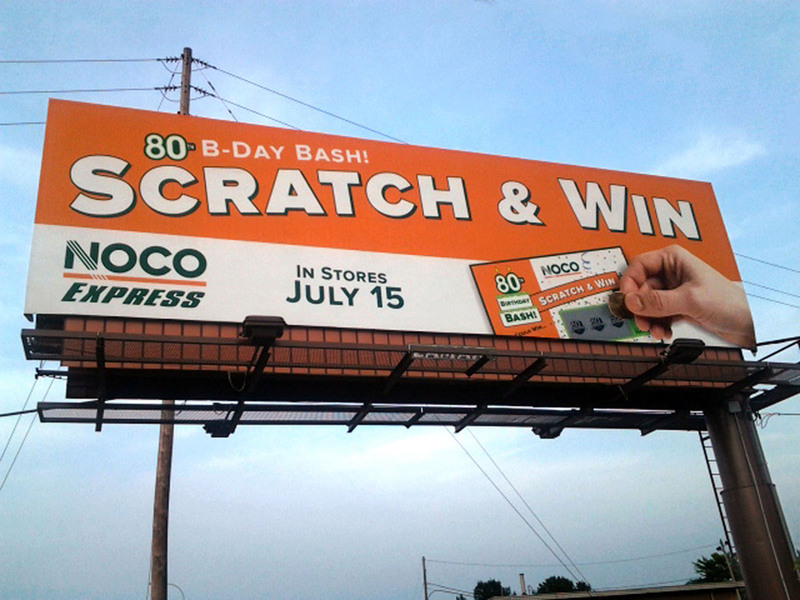 NOCO was having a scratch and win contest at their NOCO Express Convenient Stores. When I was originally given the text copy for it, I felt it was too much, so I encouraged the marketing team to loose some text as there was already so much going on graphically. I felt this was a nice compromise of text and graphics for a complicated concept to try and get across to consumers driving by at 55mph. 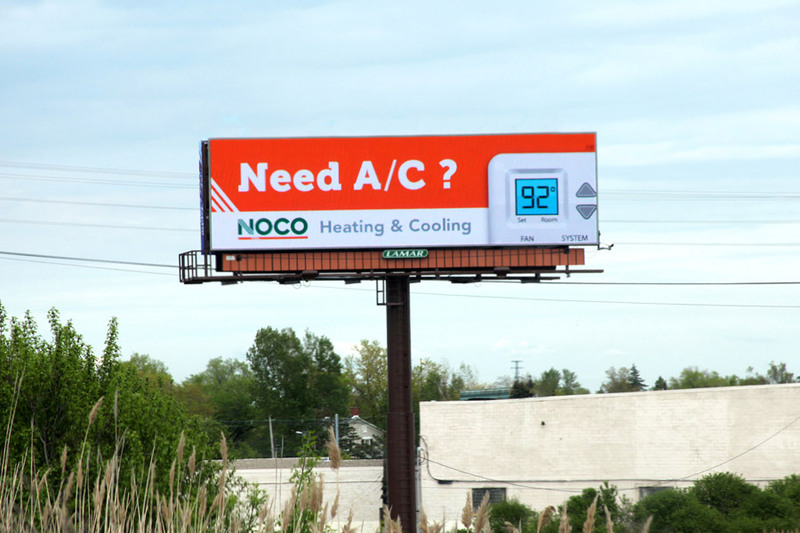 Keeping with the idea that simplicity is best for billboards, I wanted to create a billboard that the viewer wouldn’t even have to read the text to get that NOCO offers electricity.